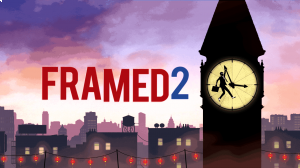 Taking place before the events of the original game, Framed 2 continues the story of the silhouetted woman being pursued by the mustachioed man. In this stand alone prequel there is now also a silhouetted male protogonist who wears white shades and has a very important suitcase that clearly must be delivered to a very important person. What are the Poloroids you Collect? What are the Puzzle Solutions?